Welcome to Classic Countertops. We are a custom installer of high-quality, skillfully-crafted countertops including laminate, solid surface and natural stone including granite. We are located in Grimes, Iowa a small town located on the outside edge of Des Moines. We are a family owned business with over 35 years combined experience not to mention installers with 20 plus years in the countertop industry. We work with a wide range of materials including laminates, granites and solid surfaces in an almost limitless selection of styles and color selections. Common laminate brands we use are Formica and Wilsonart. Examples of solid surface brands are Corian, Formica and LG Hi-Macs. We will also work with a wide variety of natural stones and granite materials. The key to our success is personal service. Ed and Rick are always available to help with any order. 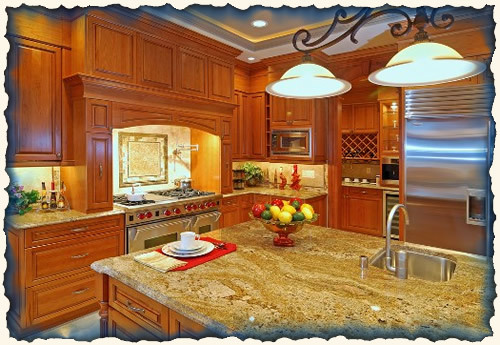 Creating beautiful and lasting countertops is our business and we take personal pride in all our work. Give us a call and let us help design a beautiful countertop for you.